SLIPPER Black Velvet Slipper with subtle coloured silk embroidery of a salmon. 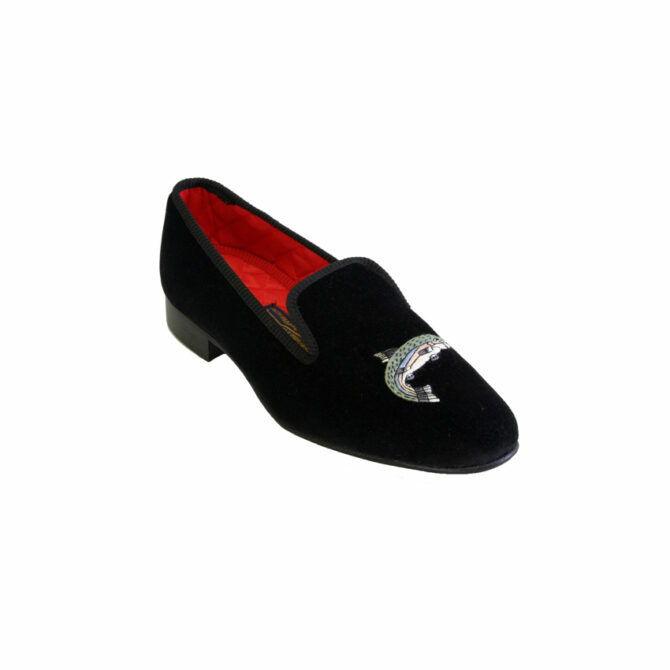 Our handmade Black Velvet Albert Slipper is a jewel in our mens designer slippers range, with a subtle coloured silk hand embroidered salmon and quilted lining. Are you looking for a stylish, designer house shoe? From our shop and workshop in Norwich, we receive custom orders from all over the world. We have been lucky enough to design and craft shoes and slippers for many notable characters. Have you followed us yet on Instagram?